A Harbinger of Doom Descends From The Sky! 14 pages of pure awesome. What is the expected level advancement during the adventure? Its enough of an adventure for a single session, so not enough to get to level 2. I did notice that this was a simple short adventure with a cool story. 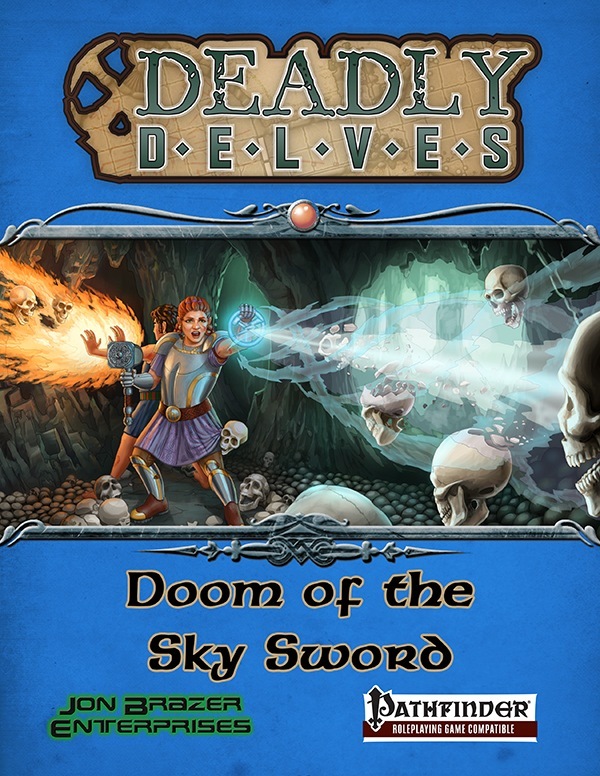 Do you think that later on another level 1 deadly delve might come out and then the players could jump into Rescue from Tyrkaven for a level 2 adventure? So is there more low level goodness on its way? You know us Pathfinder lovers love our adventure paths! So, that would be a cool idea! I have another 1st-level adventure that I am doing my read-throughs before I send it off to the editors to work their magic on it. Until I feel we have a solid footing in adventures, we're going to focus on the lower 1/3rd of levels. Part of our PaizoCon Sale. Download this adventure for 25% off today. Hard to believe it has been more than 2 years since we released this adventure. Looking for a solid, low-level adventure to try and cut your teeth on for your first time GMing. This is a good adventure for that. Looking for an awesome level 1 adventure that has groups thinking more and less hack and slash? 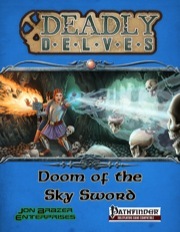 Download Deadly Delves: Doom of the Sky Sword while it is 75% off the regular price. This adventure is a great way to kick off a campaign.